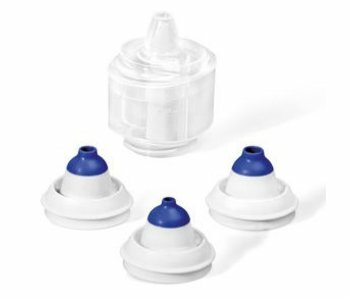 The 'Portable SPRINT' nasal nebulizer is specifically developed for the nasal nebulizing of saline soluition and/ or prescriptin medication (corticosteroids or antibiotics) in patients with chronical rhinosinusitis and/ or nasal polyps. 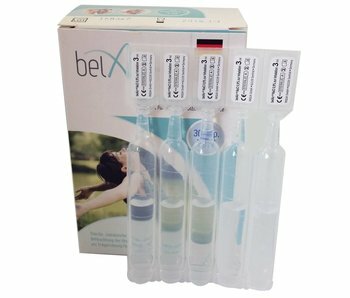 The Portable SPRINT combines optimal droplet size and nebulizing pressure. This ensures that the prescribed medication deep and therefore optimally penetrates into the nasal and paranasal sinus cavities. The only difference with the 'Portable' nasal nebulizer (with rechargeable battery) is that the 'Portable SPRINT' nasal nebulizer works on 2 AA - batteries. Recommend by ENT specialists and allergologist!